Vail is not your typical American ski village. It seems more out of Bavaria or the Alps than rural Colorado. Church spires loom above quaint, alpine architecture. Year round, the streets are full of people rather than cars. The bubbling Gore Creek runs through the heart of the village and several picturesque covered bridges cross it. 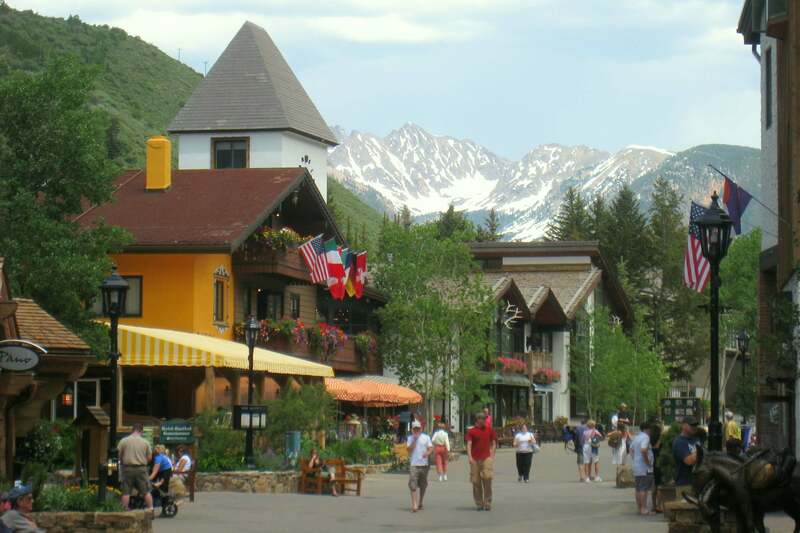 There is a social and lively atmosphere in Vail that cannot be found anywhere else. 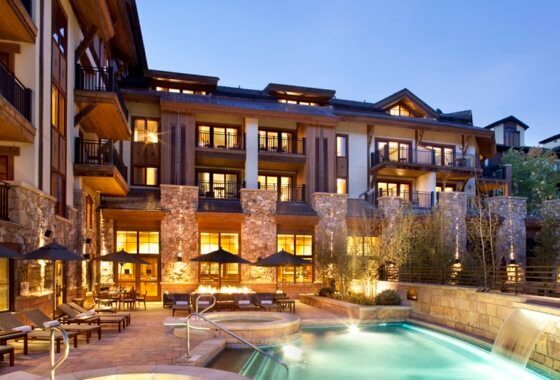 Once you arrive, you’ll realize that Vail Village is meant to be experienced rather than just stayed in. A defining landmark of Vail is the iconic Hotel Gasthof Gramshammer, an intimate European lodge built by Austrian ski racer Pepi Gramshammer and his wife, Sheika in 1964. The hotel is built in a classic European style and has remained almost unchanged as the village has modernized around it. 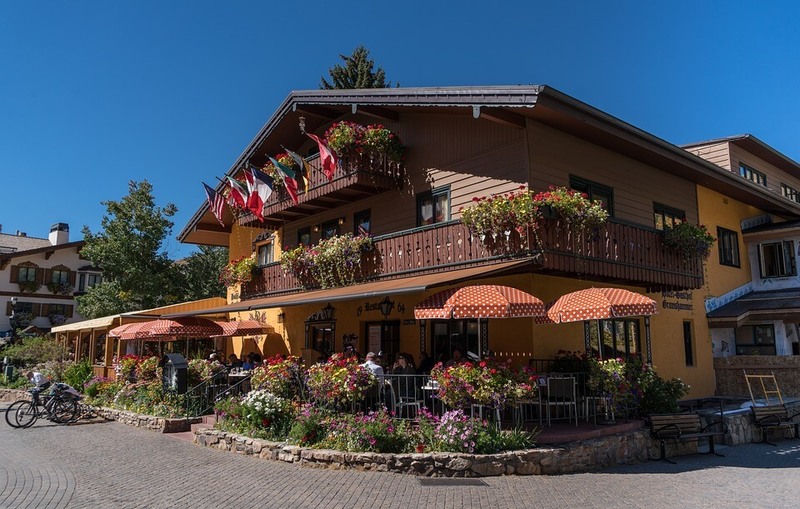 Aside from its architecture, the hotel is particularly known for Pepi’s Bar and Grill, one of the most authentic European restaurants in all of the Rocky Mountains. The restaurant offers a diverse menu of European and Austrian specialties, such as jaegerschnitzel, paprika goulash, and sauerbraten, as well as a lively bar and heated patio known for its apres scene. The village has a particular emphasis on social interaction, with an abundance of outdoor patios and lively pubs that can be enjoyed at any time of the year. On or off the slopes, Vails’ guests can be seen soaking in the apres scene, whether it be after a day of skiing, mountain biking, or other outdoor activities. Local favorites include Garfinkels, a lively, slopeside sports bar with one of the best patios in Vail, and Los Amigos, located next to Gondola One and known for its Mexican food and tequila. Another classic is Bart and Yeti’s, one of the oldest bars in Vail, adored by locals for its live music and great patio.